The life of Boris Nemtsov is intertwined with Russian history of the past 25 years. 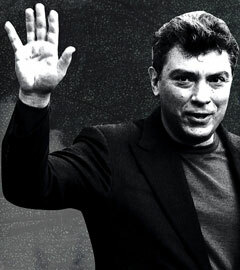 The film begins in the 1990s, when Nemtsov was seen as a possible future president of the country, and ends in February 2015 with his assassination. The most important events of Russian society from 1990 to 2015 and Nemtsov’s role in this socially and politically active time period are discussed by his friends and leading Russian politicians. Q&A with film-directors. Awards: “White Elephant” from the Russian Guild of Film Critics in the category of “Best Documentary Film of 2016”. Leningrad, 1970. 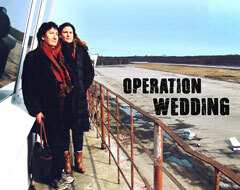 A group of young Jewish dissidents plots to hijack an empty plane and escape the USSR. Caught by the KGB a few steps from boarding, they were sentenced to years in the GULAG and two were then sentenced to death. 45 years later, filmmaker Anat Zalmanson-Kuznetsov reveals the compelling story of her parents, leaders of the group, “heroes” in the West but “terrorists” in the Soviet Union, even in Russia today. Awards: Award of Recognition at the Hollywood International Independent Documentary festival (2016), the Audience Choice Award at DocuTIFF (Israel, 2017), the Gold Movie Awards (London, 2017), the GLOBE AWARD at Around Film Festival (Berlin, 2017). 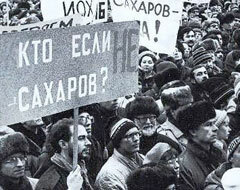 The year 1989 stood out in the minds of Soviet citizens as a year when their spirits were rising with special expectations. Everybody followed the events at the Congress of the People’s Deputies. At the time, thousands wrote letters to People’s Deputy of the Soviet Congress – academic Andrey Sakharov. But what do these people think about the epoch of the 1990s today? How do they evaluate the last 25 years? Choosing the heroes for the documentary, the filmmakers were trying to interview people of different occupations and interests, different ages and viewpoints. The result was rather unexpected in many ways. This documentary is about the most contradictory international conflict in contemporary Eastern Europe — the war-conflict between Ukraine and Russia. 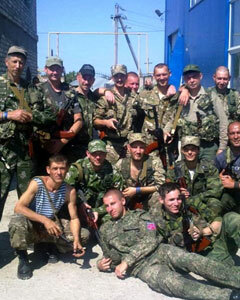 The main character of the documentary, Russian mercenary soldier, a so-called “volunteer,” tells his story of life and war. The filmmakers create a very incongruous psychological portrait of a modern Man of War. 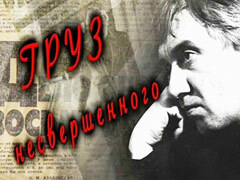 This documentary is about Grigory Pomerants, the most famous Russian philosopher under the Soviet Era. As a young man, he was arrested and imprisoned for anti-Soviet activity in 1949. He spent four years in the GULAG, and was rehabilitated during the period of Khrushchev’s uncovering of Stalin’s crimes and the Cult of Personality in 1956. 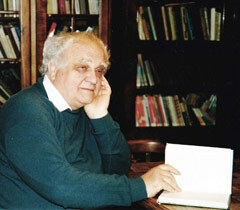 During the mid-60s, Pomerants’ philosophical and literary essays were published in Samizdat. His name was stricken from official Soviet life but his books were published in Germany, France, and the USA. He became an author of all leading uncensored Russian press abroad. He did not become an active dissident, but turned into a theorist of the dissident movement, and declared this movement as an Exodus from Impersonality. 2017 marks the centennial of the Russian Revolution and a century of the Russian Catastrophe. Without objective judgement of this time period we cannot understand the contemporary world and its main conflicts. 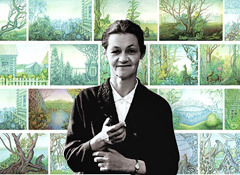 The film-team based their documentary on the works by historian Elisabeth Heresch, her book Geheimakte Parvus. Die gekaufte Revolution. 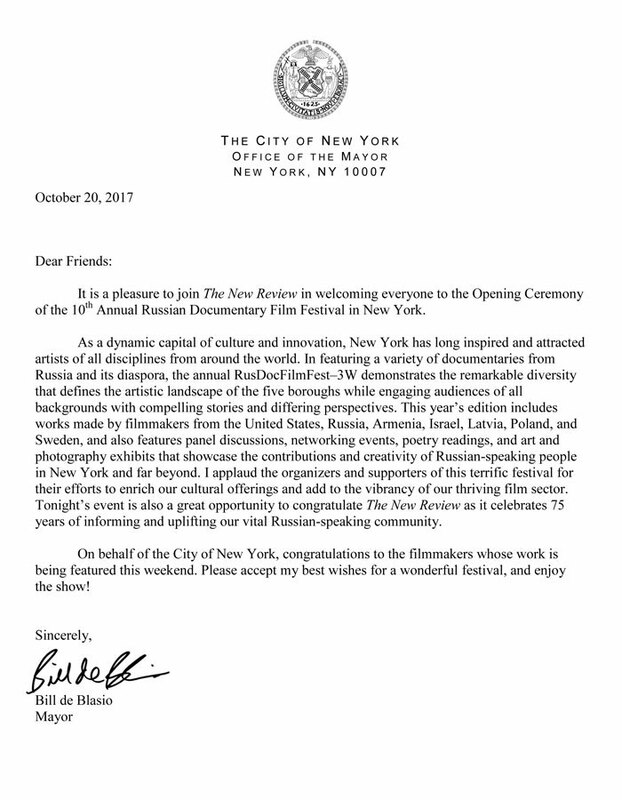 The premiere of this provocative documentary at the Moscow International Film Festival in summer 2017 riveted Russian intellectual circles, uncovering main confrontations within society. 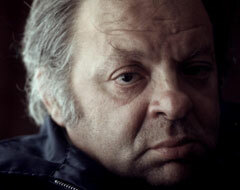 This documentary is dedicated to the 90th anniversary of the famous Russian poet Naum Korzhavin. The life and fate of the country, his poems and memoirs, his feelings of pure truth and humanity, even his strong character – everything was linked to the epoch. 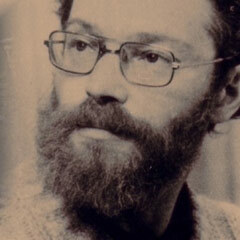 As a student he was sentenced to prison to the GULAG for his verses in Stalin’s Soviet Union; he was one of the most popular poets published in Samizdat. He immigrated to the U.S. in the 1970s, and became the “voice of honor” for the Russian-speaking multi-ethnic Diaspora. Awards: Grand Prix at the International Film festival in Gatchina in 2016. 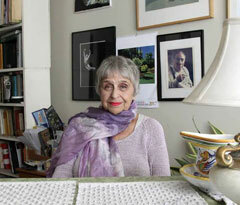 The film is about the life of the theater, and about ballet critic and photographer Nina Alovert. 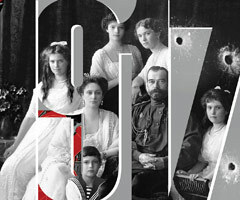 Her life closely intertwined with the tragic period of Stalin’s repression, the Khrushchev Thaw, as well as theatrical and ballet flourishing in the Soviet Union and the U.S. 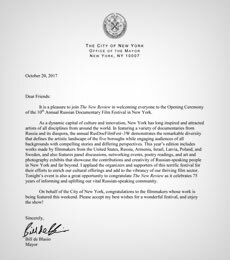 The documentary tells about world-known Russia-born American linguist Professor Vyacheslav V. Ivanov. The famous slavist recalls his childhood that he spent among the most distinguished Soviet writers, scientists, artists, and actors: M. Bakhtin, B. Pasternak, V. Shalamov, J. Brodsky, A. Solzhenitsyn, A. Sakharov, and others. His story is about free man in the imprisoned country. His thoughts are about the future of Russia: «Unfortunately, Russia repeats its mistakes, falls down in the traps from the past». The documentary looks at the life and work of investigative journalist Yury Shchekochikhin, a Duma representative in the Perestroika period. An outspoken champion of democracy, free expression, and the rule of law during Perestroika and in post-Soviet Russia, Yury was famous for his probing investigative reporting on corruption, the KGB, human rights’ violations, international organized crime, and the war in Chechnya. 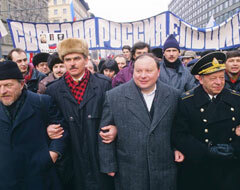 Yury died in 2003, under unclear circumstances, in the middle of a major investigation of corruption at the top levels of the Russian law enforcement and intelligence services. 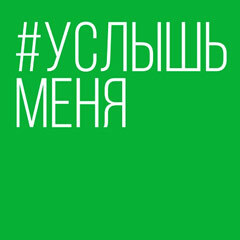 The film presents the voices of Yury’s Russian, Ukrainian and Georgian colleagues, all participants in the dramatic political and social events that transformed post-Soviet societies. Q&A with Nadezhda Azhgikhina, Vice-President of the European Federation of Journalists, widow of Yury Shchekochikhin. About 13 million Russians have a hearing impairment. 250,000 of them live in full or partial silence. These people dream, work, fall in love, and want to be active members of society. They want to be respected by the hearing community and respect it in return; they want to be understood. The film tells the stories of people with hearing impairments from all walks of life. For someone who has not experienced problems with eyesight it may seem that there is no fine art in the world of the blind. The first art exhibition for blind people “To See Invisible” took place in Russian in fall 2016. 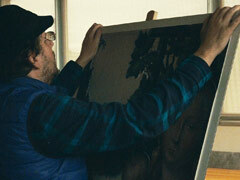 «Imagine» – is a film-essay or film-adventure beyond the borders of existence of which most of us are even not aware. A blind art expert, a fine art lover who lost her eyesight after giving birth, and an artist blind since childhood… Our film characters are people in love with art who are seeking the opportunity to reestablish the connection with the visual culture cut off by coincidence. 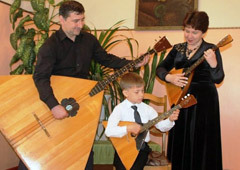 This documentary is about the balalaika –a unique Russian fstringed folk musical instrument; about its past and present; about the people who make the balalaika in present day as well as modern musicians who have devoted their life and talent to this instrument. 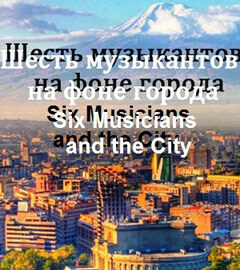 The film presents clips from the concerts of the best balalaika-players. 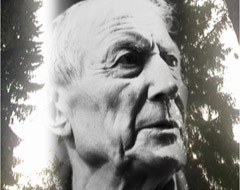 This documentary is dedicated to one of the most influential modern-day Russian poets, Yevgeny Yevtushenko, who passed away this year in Tulsa, Oklahoma. He was one of the few poets politically active during the Khrushchev Thaw in the 1960s; he was the author of the poem Babiy Yar, the first public avowals regarding the Nazi massacre of the Jewish population in Kiev in 1941; he was the author of popular Russian songs and intellectual books… Shot in the Yevtushenko Museum-Gallery in Peredelkino, suburb of Moscow, to the 80th anniversary of the poet, this film takes the form of a monologue in which the poet ponders the most important questions: what is life? and what is death? 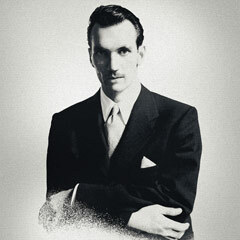 The film tells the story of Jan Karski, a Polish underground courier. Karski traveled across occupied Europe to inform the Allied powers of Nazi crimes against the Jews of Europe in an effort to prevent the Holocaust. He carried his dreadful eye-witness report to Britain and the United States, hoping that it would shake the conscience of the powerful leaders or, as he would call them, the Lords of Humanity. Q&A with film-director. This documentary tells about Yegor Gaidar’s family – who played an important role during the Soviet and Post-Soviet era in Russia. Ariadna Bazhov-Gaidar, a narrator of the film, tells her story about her father –Pavel Bazhov, a popular Ural story-teller, about her husband – Timur Gaidar, a son of a famous Soviet writer, and about her grandson – Yegor Gaidar, a Soviet and Russian economist, politician, the Acting Prime Minister of Post-Soviet Russia in 1992, and the author of the main socio-economic reform called Perestroyka. Awards: Special Diploma “For the Best Choice of Narrator Reflecting the Historical Epoch” at IFF in Gatchina. The documentary is directed by 4-time Emmy winning filmmaker Jim Brown and narrated by Kiefer Sutherland. The film spreads the rock and roll sound of freedom across the Iron Curtain and throughout Eastern Europe and the USSR, despite Communist attempts to outlaw it and to crush what they perceived was a contamination of the youth. Over the next thirty years, thousands of underground bands and millions of young fans who yearned for Western values helped fuel the nonviolent implosion of the Soviet regime. Presidents, diplomats, spies, and rock stars from the West, the Soviet Union, and Eastern Europe were interviewed on the subject of rock and roll as a factor of freedom, including: Presidents Mikhail Gorbachev, Jimmy Carter, and Vaira Vike-Freiberg of Latvia, NATO Deputy Secretary General Alexander Vershbow, former KGB General Oleg Kalugin, Hungarian Ambassador Andras Simonyi, Latvian Ambassador Ojars Kalnins, and more. 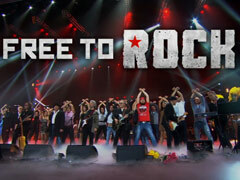 The film includes performances by Elvis Presley, the Beach Boys, the Beatles, Dean Reed, Nitty Gritty Dirt Band, Elton John, Billy Joel, Bruce Springsteen, Scorpions, Roger Waters; The Wall in Berlin Concert with Cyndi Lauper, and Metallica, as well as Russians Stas Namin and The Flowers, Andrey Makarevich and Time Machine, Boris Grebenshikov and Aquarium, Viktor Tsoi and KINO, Yuri Shevchuk and DDT, and others. Like a lone cowboy, Sergei passionately devotes his life to traditional horse breeding in the impenetrable Arctic Sakha; permafrost and the absence of roads, electricity, and channels of communication mean that there is nobody else to rely on but oneself. Sergei is sensitive and introspective; he truly cares about his family, community and treats nature with the utmost respect. He loves the independence and freedom this life brings, despite the immense sacrifices that it necessitates, such as total isolation and being a stranger to his own children. Spectacular camerawork characterizes the Sakha horses in all their magnificence, and juxtaposes the post-soviet towns and the boundless taiga landscapes, where the cold bites through the screen. This film tells the story of artists Valentina Kropivnitskaya and Oskar Rabin, two people who created nonconformist art – The Second Russian Avant-garde. Their Bulldozer Exhibition was an unofficial presentation of non-conformist art in 1974 that was forcefully broken-up by Soviet police. Later Valentina and Oskar immigrated to France and became a part of the modern French artistic circle. This film is a story about great talent and great love, about life in a totalitarian regime and about the fight for artistic freedom. Awards: NIKA for the “Best Documentary FIlm” (2015), IFF on Human Rights “Stalker” – the “Best Non Feather Movie”, Berlin Independent Film Festival – “Best Documentary” (2015).